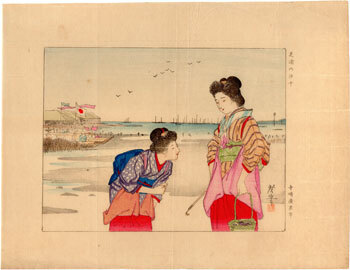 The Japanese tradition of digging in the sand of the shore in search of clams with small rakes kumade (熊手) is so ingrained that the word "shiohigari" (潮干狩り), the harvesting of shellfish during low tide, sometimes replaces the same "spring". 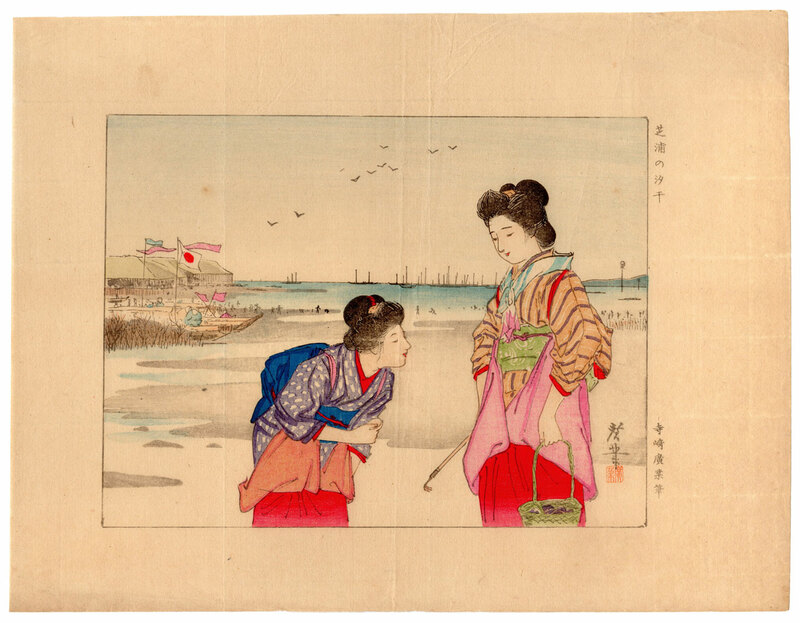 Even today this ancient rite is an opportunity for recreation with family and friends and is often reported by newspapers and television broadcasts. 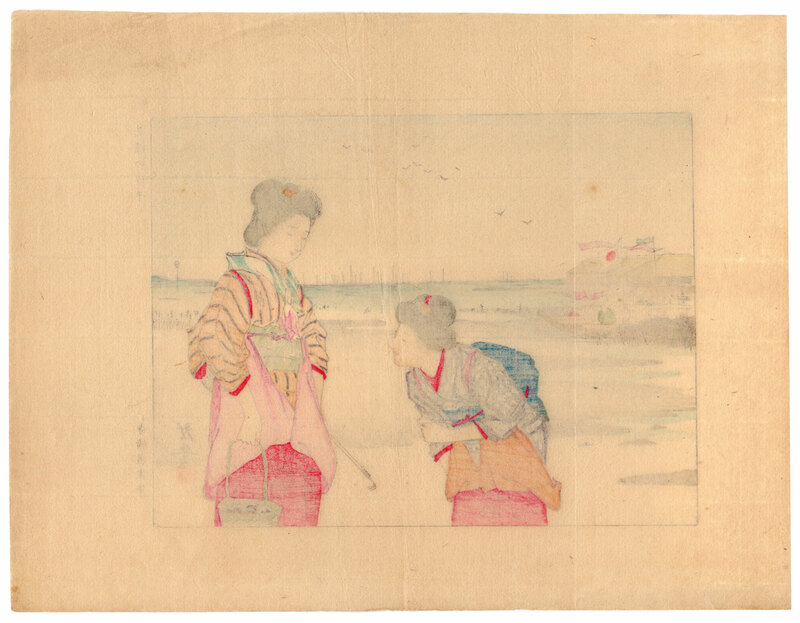 In this beautiful kuchi-e (口絵) woodblock print, made around 1910 by the artist Terasaki Kogyo (寺崎広業) and entitled "Low Tide at Shibaura" (芝浦の汐干), we see two bijin (美人) beauties gathering clams in the Tokyo Bay (東京湾). 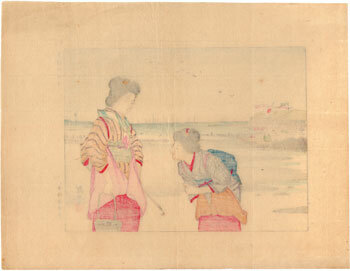 The work on Japanese washi paper (和紙), printed by the Hakubunkan publishing house (博文館), despite the right signs of the time is in good general condition.